IS THERE REALLY SUCH A THING AS A MEN’S DIVORCE LAWYER? According to an article published this summer in the Wall Street Journal, there is an increasing trend among divorce lawyers to market their practices specifically to men. As a marketing tool, from the perspective of the lawyer, this makes perfect sense. There is nothing new about niche marketing and boutique divorce firms have been all the rage for years. A lawyer who can convince his or her demographic that he or she is a champion of men and understands the injustices that too often befall them in divorce court, can gain a leg up on colleagues who trust clients to understand that experience representing both men and women benefits clients of both genders. Jennifer Smith, the author of the WSJ article entitled “Lawyers Carve out ‘Divorce for Men’ Niche”, makes it clear that the trend is about marketing and not about law. The article discusses packing lawyers’ websites with SEO rich keywords and phrases appealing to men’s fears and concerns. There are plenty of plausible reasons for this, none having to do with outcomes for clients. Lawyers who limit their practices in this way may believe that any focus in advertising is a good thing, or may have a personal bias that male clients are generally in a better position than women to finance divorce. The question for men facing divorce, by contrast, is whether the fact that their lawyer markets exclusively to men will make a difference in the outcome of their cases. When pressed for answers on what kind of special advice such firms offered, self-described men’s lawyers reported advising clients not to get into arguments with their wives which might result in false claims of abuse, and not to relocate to distant places if they planned to seek joint custody of their children. Hardly profound insights or advice different from that which any experienced divorce lawyer would offer. There is no doubt that at least some of the lawyers, who limit their divorce practice to men, genuinely believe that men tend to be short-changed in divorce court. Many might be proponents of alimony reform — a hot issue across the country. Query, though, whether any judge is likely to be swayed in his or her decision by the politics of the husband’s lawyer as opposed to by the facts of the case. To the extent that gender biases exist in any jurisdiction, count on the fact that the experienced lawyers in that jurisdiction are aware of them and are prepared to address them on behalf of their clients. All of us are bound by Rules of Professional Conduct that require us to represent our client’s zealously. Before selecting a lawyer who touts himself or herself as a man’s divorce lawyer, men should first ask: does it cost extra, and, if so, exactly why? 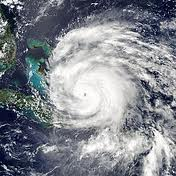 According to an Associated Press report issued yesterday, Susan Meredith a state arbitrator has reinstated 40 of the 103 state employees who lost their jobs in the wake of alleged disaster relief fraud following Tropical Storm Irene. D-SNAP — the Disaster Supplemental Nutrition Assistance Program — provided food stamp and other relief to qualifying Connecticut residents. Qualification for the D-SNAP assistance depended on the income and assets of the applicants and on the amount and type of damage suffered. The story was picked up by news services across the state but also caught considerable national attention. According to a post by the Hartford Courant blogger, Christopher Keating, the level of mutual tension between members of the Malloy administration on the one hand and lawyer for 60 former workers, Rich Rochlin, have remained high. With controversy raging in Michigan and elsewhere over the role of labor unions in the public sector, we are curious to know how our clients and neighbors in Connecticut and especially here in Mystic, Stonington, Groton, New London, and the rest of Southeastern Connecticut view the issues. Does the fact that the fraud impacted publicly administered relief funds, mean that public employees found to have abused the program should be accountable –not just in criminal court — but to their employer as well? Would this create an unfair disparity between workers in the public and private sectors? Should the state seek review of the decisions in Superior Court? Please tell us what you think.